Kleefeld on Comics: On Webcomics: Don't Forget to Bring Your New Audience Along Too! On Webcomics: Don't Forget to Bring Your New Audience Along Too! When I was a kid in the 1980s, my dad bought a lot of independent comics. So when I finished the small collection of superhero comics I could afford at the time, I would move on to his books and read all these weird things that I wouldn't normally have had access to, or even known about, until years later. I recall more than a few stories that bopped around from publisher to publisher for reasons I didn't understand at the time. Groo went from Pacific to Eclipse to Marvel, and eventually on to Image and then Dark Horse. 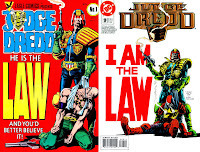 Judge Dredd was at Eagle and Quality and Fleetway and SQP and DC -- now it's at IDW. There were others, but those are probably the most recognizeable that I recall. I was lucky in that Dad was able to follow from one publisher to the next, so I would come to each publisher's version with an understanding of the characters and backstory. 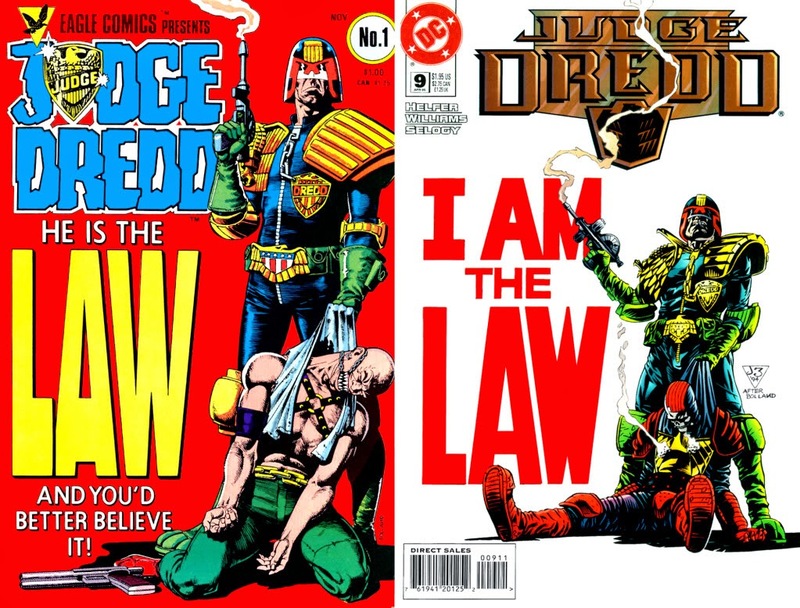 I'm sure not everyone else had that same luxury and, particularly with bigger publishers like Marvel and DC who had larger promotional budgets, many readers were seeing these for the first time. It's been a while since I've gone through and re-read any of them, but I suspect that in most cases, an editor was conscious of the fact that they were hitting a potentially new audience and they had to start fresh in many ways, providing new introductions for characters and such. More recently, I've seen something similar in webcomics. What starts as a webcomic, for example, might get self-published in a trade paperback, and then go on to get picked up by a name publisher, and then sourced back to comiXology under the original creator's aegis. Offhand, I can think of PvP, I was Kidnapped by Lesbian Pirates from Outer Space and Runners that have done this to various degrees. Again, there are others, but I'm drawing a blank on them offhand. Those ones that I'm drawing a blank on? One of the reasons I'm drawing a blank, I think, is because I didn't find them as engaging. And the reason I didn't find them engaging? Because I didn't come across the original versions -- I came across one of the subsequent iterations and there was an implicit assumption that you had read everything that came before. I couldn't really get into the story because I couldn't follow what was going on. So here's the thing: if you, as a webcomic creator, have an ongoing story that develops over an extended period, you can't make it so convoluted that new readers can't follow along. I understand that in webcomics, doing one page at a time is the norm, and you can only provide so much backstory in that amount of time, but you need to provide enough information as you're continuing the story to get new readers up to speed fairly quickly. I've stopped reading more than a few webcomics because I couldn't figure out what the basic plot was after several months. The storytelling on individual pages was fine, and I could follow what was happening easily enough, but the larger context what was driving all the characters, what the overarching conflict was, was never communicated. And that is a big problem! Depending on the story and the plot, there's no one easy answer to say how often a creator should reiterate critical plot details, but I'm thinking once every chapter (however "chapter" is defined in a given webcomic). If, as a creator, you're not doing that, I think there's a more than fair chance that you're alienating readers who come to your story from somewhere other than the original venue.